A beguiling concoction-equal parts true crime, twentieth-century history, and science thriller. 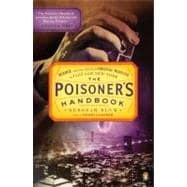 A fascinating Jazz Age tale of chemistry and detection, poison and murder, The Poisoner's Handbook is a page-turning account of a forgotten era. In early twentieth-century New York, poisons offered an easy path to the perfect crime. Science had no place in the Tammany Hall-controlled coroner's office, and corruption ran rampant. However, with the appointment of chief medical examiner Charles Norris in 1918, the poison game changed forever. Together with toxicologist Alexander Gettler, the duo set the justice system on fire with their trailblazing scientific detective work, triumphing over seemingly unbeatable odds to become the pioneers of forensic chemistry. Pulitzer Prize winner Deborah Blum s fascinating study of the birth of forensic medicine is a finalist for the Audie Award in nonfiction, and narrator Coleen Marlo is one excellent reason. Marlo s voice is pleasant; her delivery, cool and compelling. Blum introduces Charles Norris and Alexander Gettler, the dedicated men who developed techniques for tracing poisons in human tissue. She chronicles specific poisons and specific cases from nineteenth- and early-twentieth-century poisonings, including chloroform, arsenic, and cyanide experiments; hard-to-listen-to graphic descriptions of grisly animal testing; and accounts of serial poisoners. She constructs a convincing indictment against societal ignorance, corporate corruption, and political cronyism. Blum s spirited prose and well-researched science and Marlo s intelligent performance make this nonfiction production seem like a series of powerful short stories. This textbook is an easy read, it is well-researched, and includes footnotes describing the author's sources. In reading this textbook, you will also learn about pioneering forensics efforts that required the grinding up of large samples of brain and organ tissue prior to laboratory testing. The textbook also includes a useful bibliography of scholarly works on forensic toxicology. This is a very captivating textbook for the reader with an interest in science and history. Highly recommended! As for me, I'm very happy to deal with ecampus. The textbook came in a promptly manner and was in excellent condition when I received it! The Poisoner's Handbook: Murder and the Birth of Forensic Medicine in Jazz Age New York: 5 out of 5 stars based on 1 user reviews.